Digital Source: Oppo BDP-95, Oppo BDP-105, Marantz SA8260, Restek Radiant, Pioneer DV-578A, Deltec Little Bit. Power Cords: Aural Symphonic Missing Link, Ensemble Powerflux, generic power cords. Room Size: 15’ x 13.5’ x 7’/8’ long wall setup / 11’ x 18’ x 7’/8’ opens to 18’ x 19’ x 7’/8’, long wall setup, padded laminate wood on concrete slab floor, suspended ceiling and all walls finished with drywall (basement with small window on one side, which is concrete foundation wall with insulation) / 13' x 28' 8" x 9' with openings on one side to hallway and staircase, short wall setup, suspended hardwood floor, suspended ceiling and all walls finished with drywall, external wall finished with insulation inside and concrete on the outside. JohnBlue Audio Art of Taiwan found its niche in the market with the JB3, a pair of compact widebanders originally designed for the desktop. It met its design objective head on and that’s how I’ve been enjoying it for years. My personal appraisal in one line: naturally musical, MSG free, no bad aftertaste. Feedback from readers and importers told me that many of them enjoy the JB3 as their rightful audiophile monitors by anchoring them on rock-solid stands. The JB3 definitely has a sound of its own that captures the hearts of a certain group. One reader shared photos of his bi-amped JB3 in a d’Appollito array. I suppose one could have opted for something more ‘substantial’ with the same budget but our reader found eternal love in the JB3. As a user myself, I can understand why. So when he learnt about the JB3F, he asked whether I would be reviewing this floorstanding model as he was eager to know what it was all about. First off, what you see is not what you get. The single drivers of the JB3 and JB3F look almost the same but aren’t identical twins. According to creator Tommy Wu, while the new one also features a special resin-cast waveguide and anti-fungus treated whizzer paper cone, the F’s 3-inch driver has been redesigned with new voice-coil coupling to a more powerful magnet resulting in less inductive losses. As one imagines for such small driver, these modifications must have been physically restrictive. Nevertheless Tommy is very confident of a wider high to mid frequency response and more expansive dynamics. Upon first listening, the F is definitely fuller in magnitude and intensity and more agile in the lower octaves. Is there any shared DNA? 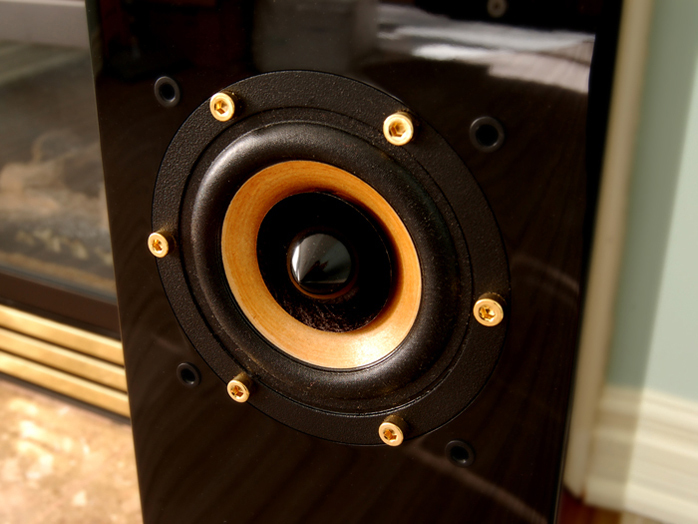 As desktop speaker, the JB3 is different from many of its competitors which try too hard to impress with impact. The JB3 sounds absolutely refined in the nearfield. Even with a standby subwoofer under the desk, I seldom turn it on. It’s all about finesse and balance like gourmet food. You savour it for taste, not to fill up. The JB3F let you savour the taste of music gourmet style. The one important bonus is that it can be a sumptuous feast if you have the stomach for it. 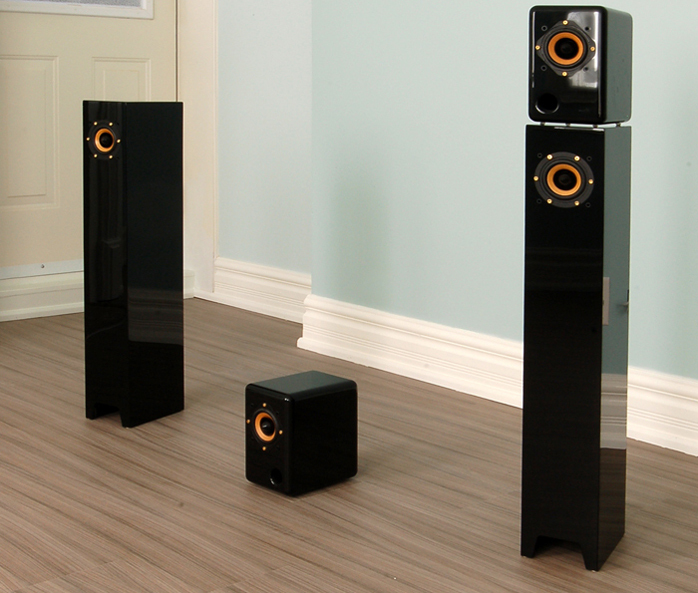 In the later part of the review I am going to tell you how it stands tall among my other heavier-weight floorstanders without bottoming out. One visually catching F feature is its slender build. It’s almost too thin and short for a floorstander. Dimensions are merely 130 x 190 x 780mm (W/D/H). Any stands under the JB3 would have a much larger footprint and weigh more than the JB3F’s 14.6 pounds. 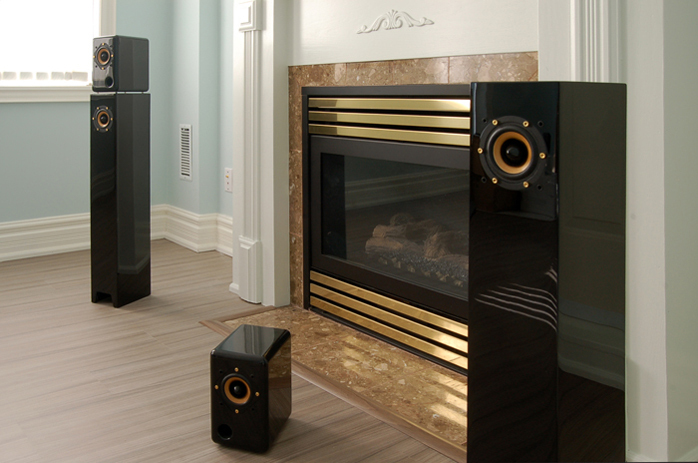 Its MDF enclosure sports a polyester resin skin polished for more than 20 times to an exquisite black piano gloss looking just like an elongated JB3. But inside the cabinet architecture is hugely different. With its rounded edges and corners, the JB3F is a bass-reflex enclosure with resonant port and hybrid damping of two different materials lining the interior. The JB3F enclosure is technically known as a Tapered Quarter Wave Tube (TQWT) which originated with transmission line modeling but is far simplified and without a complicated labyrinth. It has no damping material either. Tommy carefully modified the configuration of the TQWT and fine-tuned it to his 3” driver for optimized harmonics. He calls it a marriage of a TQWT to a backloaded horn. TQWT and spin-offs like a corner horn, folded horn and Voight pipe are most widely used for configuring single drivers. It has been popular among DIYers as well as reputable designers/manufacturers like Lovecraft (formerly Cain & Cain). This gallery is an eye opener. But I bet you have never seen a TQWT as compact as the JB3F.